General settings make up how you see the plans you make with the resource planning tool. 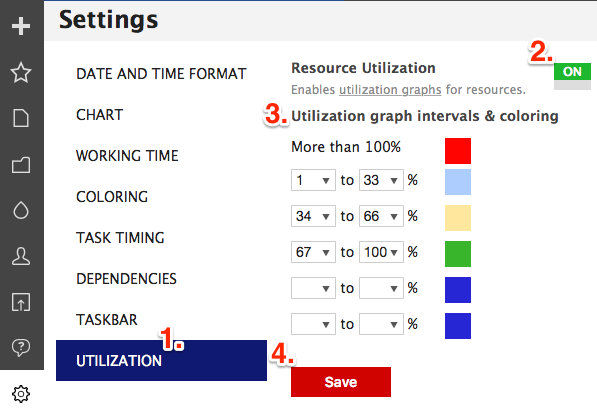 You can set general task timing settings, enable or disable dependencies, choose the information that will be displayed on the Gantt charts/taskbars, and enable or disable resource utilization. If you need to change the timeline settings, go to Timeline > Timeline settings. The general settings that you choose will be applied to the entire account. You'll find it on the menu. You can adjust these for each task individually. 1. Default time interval determines if when creating a task, your task will snap to an all day, one hour period or snap to the nearest 15-minute interval. 2. You can plan your tasks by start/end date, by duration or busy time and utilization. 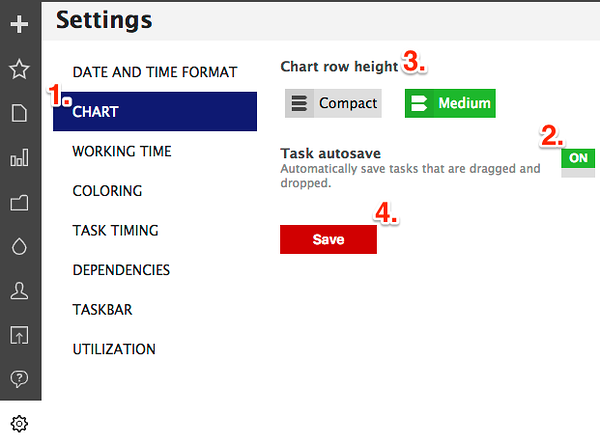 Manual parameters can be set in task pop-up window. 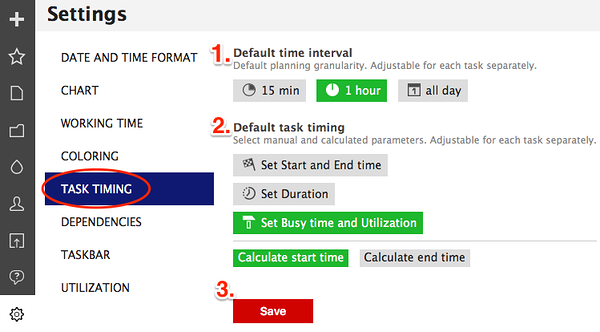 The settings you chose will be the default task timing settings. You can do that by toggling the switch accordingly. 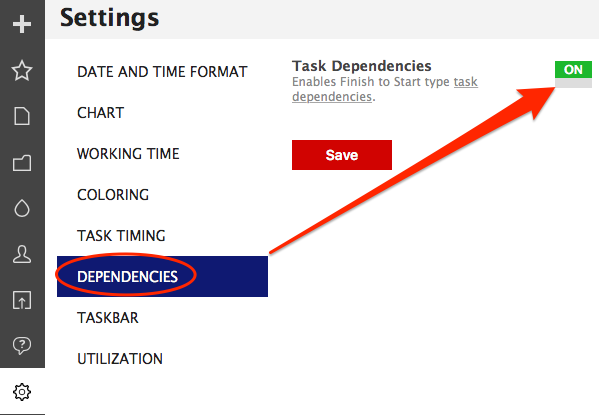 The dependencies will be enabled or disabled. If you disable the dependencies, all the existing dependencies will be permanently deleted for the whole account. 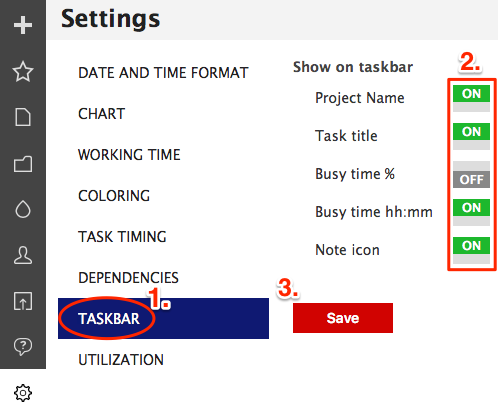 Enabled items will be displayed on the taskbars/Gantt charts. If you want to add something that is not on the list to the taskbars, check the box before 'Show value on the taskbar' while adding the custom data field. Or go edit the data field and check the box now that you know that you can do it. The changes will be applied. This includes group utilization and project capacity graphs. Did not find the answer to your question regarding the general settings?